Published: Oct. 14, 2018 at 01:31 p.m. 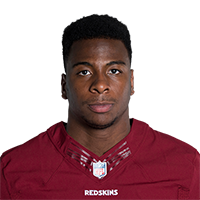 Check out this fumble recovery made by Washington Redskins tight end Jeremy Sprinkle on a Caroline Pathers wide receiver DJ Moore punt return. Published: Nov. 19, 2017 at 03:59 p.m.
Washington Redskins quarterback Kirk Cousins find Jeremy Sprinkle all alone in end zone.